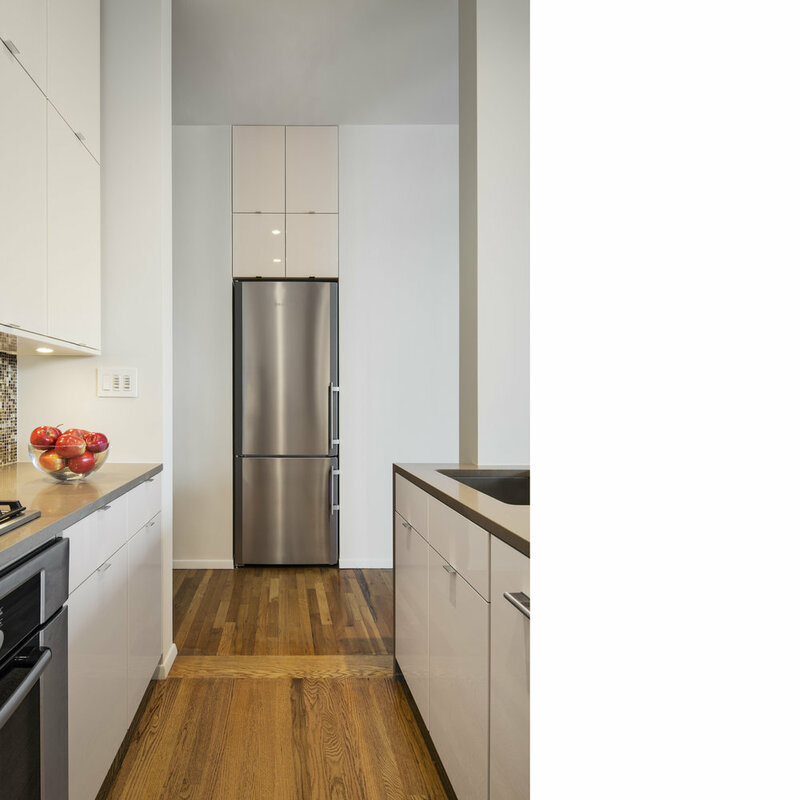 The second of three projects within a converted factory building in Clinton Hill, Brooklyn. The original structure, dating from 1911, has an oak post and beam frame with a brick exterior. Each apartment has a different relationship with the structural grid, often creating challenges and opportunities at the same time. 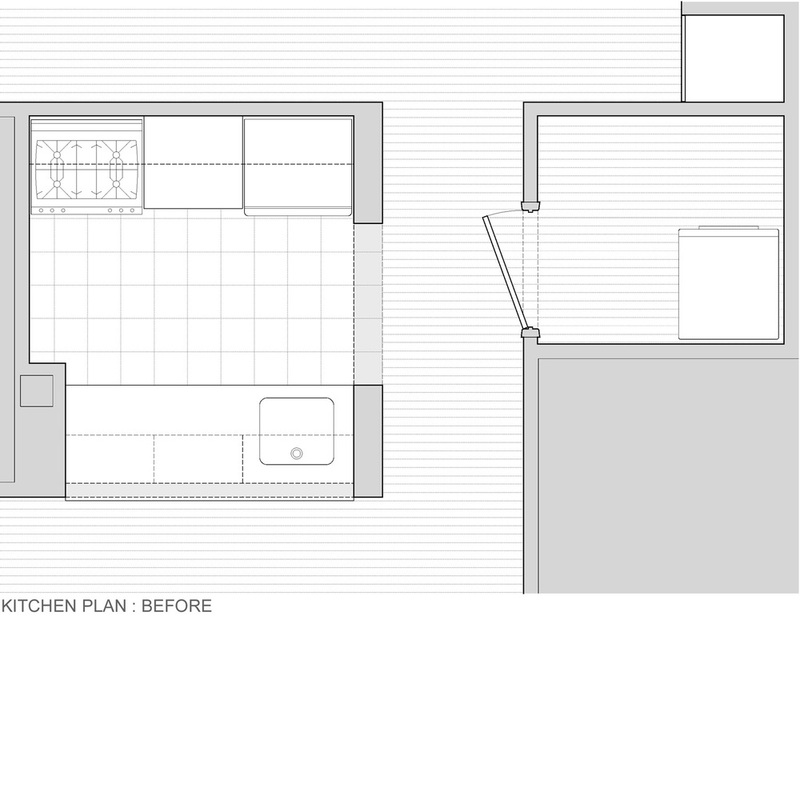 This scheme focused on a gut renovation of the kitchen, and it's expansion into the adjacent laundry room. 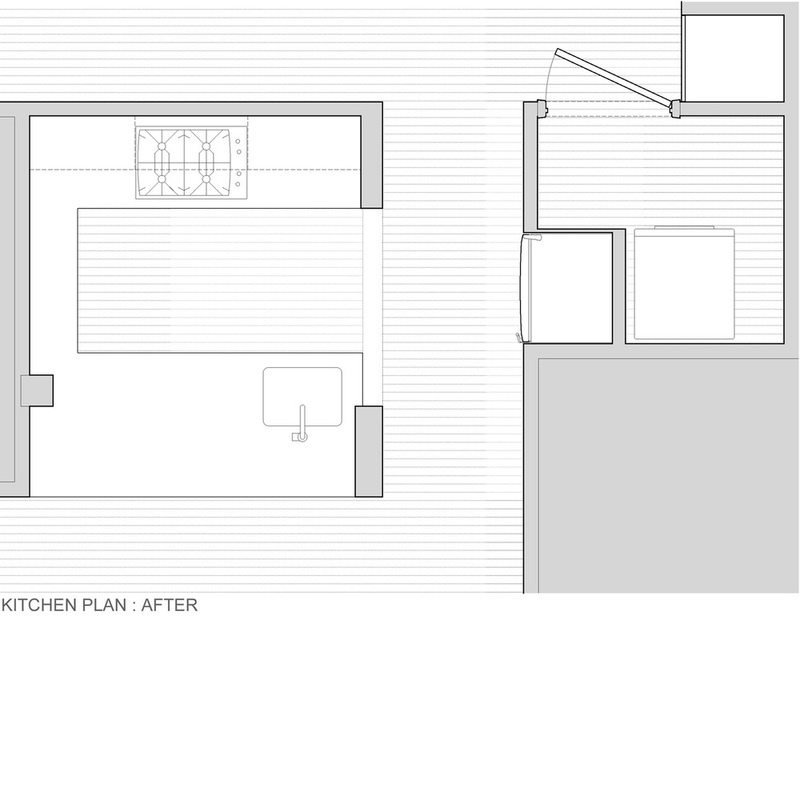 By removing walls on two sides, and raising the ceiling, the new kitchen becomes volumetrically larger and more integrated with the open plan living/ dining spaces adjacent. 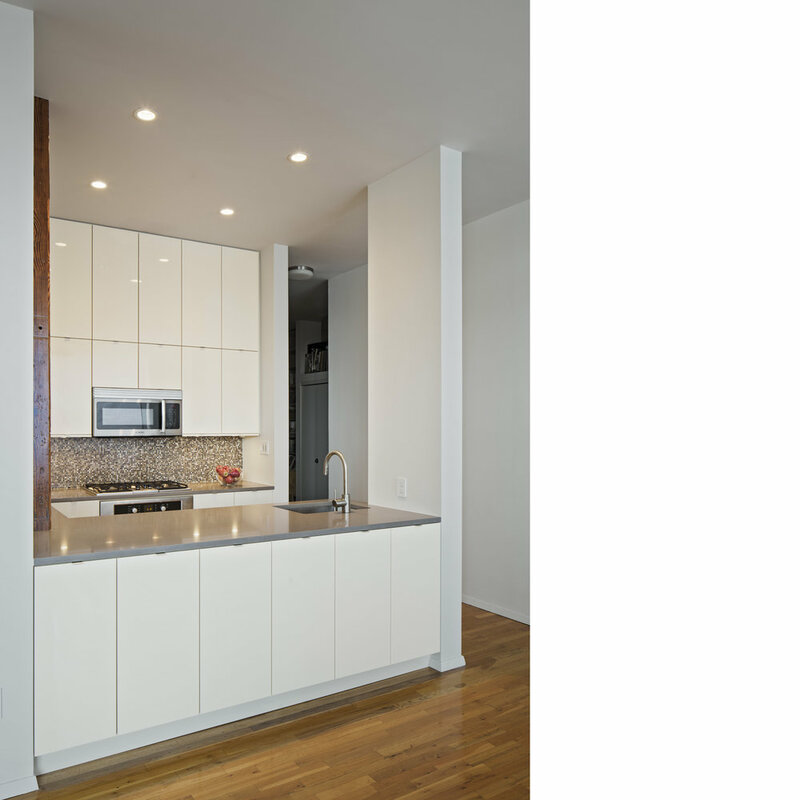 With the refrigerator relocated into a new space carved out of the laundry room, the working kitchen area effectively incorporates the hallway also. 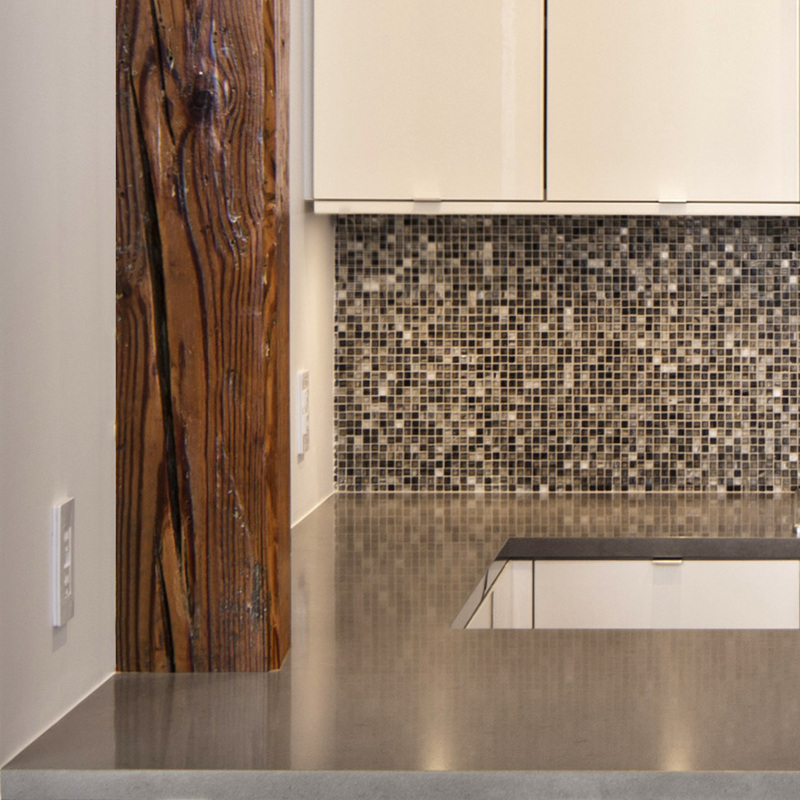 The materials combine soft cream gloss cabinets, with warm tones of the quartz countertops, glass mosaic backsplash and a natural finish to the oak column and flooring.